When Wale Oyejide learned that Disney and Marvel were making a "Black Panther" movie, he wanted a piece of the action. With African American director Ryan Coogler at the helm, the film revives the 1960s Marvel Comics character, also known as T'Challa, king of the fictional African nation of Wakanda. 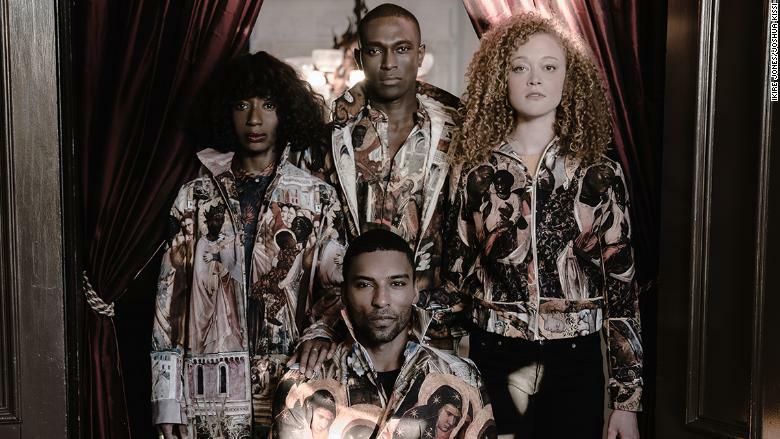 "Like millions of others, when I heard that the film was being made, I was very excited," said the co-founder of Philadelphia-based clothing brand Ikiré Jones. "I selfishly thought that our designs would be the perfect representation for the [lead] character." He decided to reach out to Marvel on Twitter. "Not long after that, I was contacted by a stylist who asked if we'd be interested in participating," he said. Of course, he accepted. When T'Challa -- played by Chadwick Boseman -- appears at the United Nations in the film, he is wearing an Ikiré Jones scarf. The "From Wakanda, with Love" scarf. Ikiré Jones created several pieces for the film, but only one -- the silk scarf "From Wakanda, with Love" -- made it into the final edit. The scarf is made in Italy and retails for $285. "It was pretty stunning to see our work presented on such a large platform," said Oyejide. 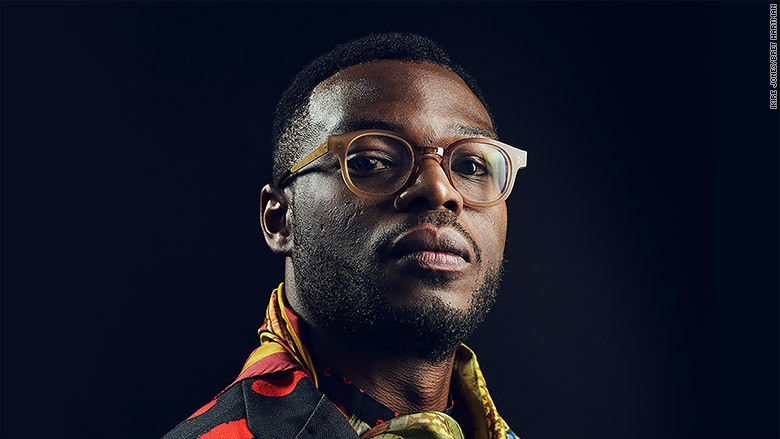 After working as a hip-hop producer collaborating with the likes of Detroit rapper J Dilla, and then training as an attorney, Oyejide founded Ikiré Jones in 2012 with tailor Sam Hubler. He had studied with Hubler's sister at law school. "It seemed like a natural decision for us to put our talents together," said Oyejide, who moved from Nigeria to the United States when he was a teenager. The brand relates to his family story. "Ikiré is a town in Nigeria where my father grew up, [and] Jones is my wife's family name," he added. The brand is a marriage of two cultures, Oyejide says. Ikiré Jones has established an aesthetic that projects "nobility and cultural inclusion," explained Oyejide. 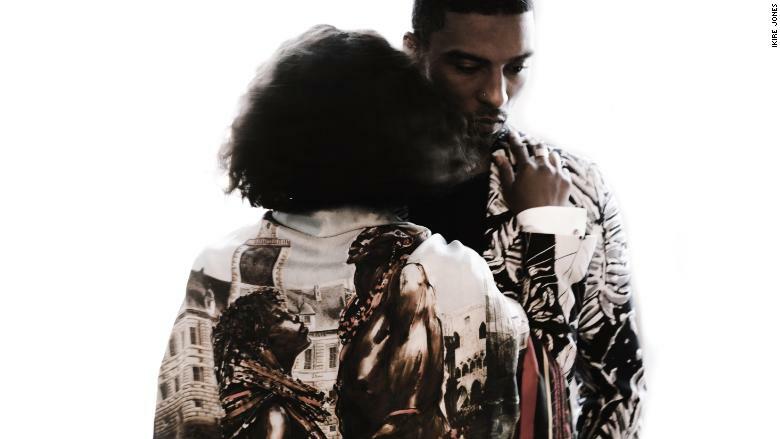 "Our work blends conventional European silhouettes with bolder colors and fabrics that are inspired by African culture." "Black Panther" made $1 billion at the box office globally within a month of release. Since it opened in the United States in February, Ikiré Jones has a seen a fivefold increase in sales, according to Oyejide. The boutique brand, which has just two permanent members of staff, sells to customers through its website. "We find ourselves having to adjust to the vast increase in scale that we are putting out," said Oyejide. "It's a good challenge for any business to deal with." He wants his brand to use the spotlight to further its cultural mission. "The brand is essentially a vehicle to change perceptions about immigrants, migrants and vulnerable populations across the globe," said Oyejide. "Each collection references issues that real people are struggling with. We attempt to tell their stories by using our art as a canvas for their vivid life experiences."